The integration of the platform will be supported by pilot applications demonstrating the innovative features of the platform and serving as a space for validation and testing. The pilot applications are presented below, click each to view more information. You may also download a PDF presenting the pilots by clicking here. 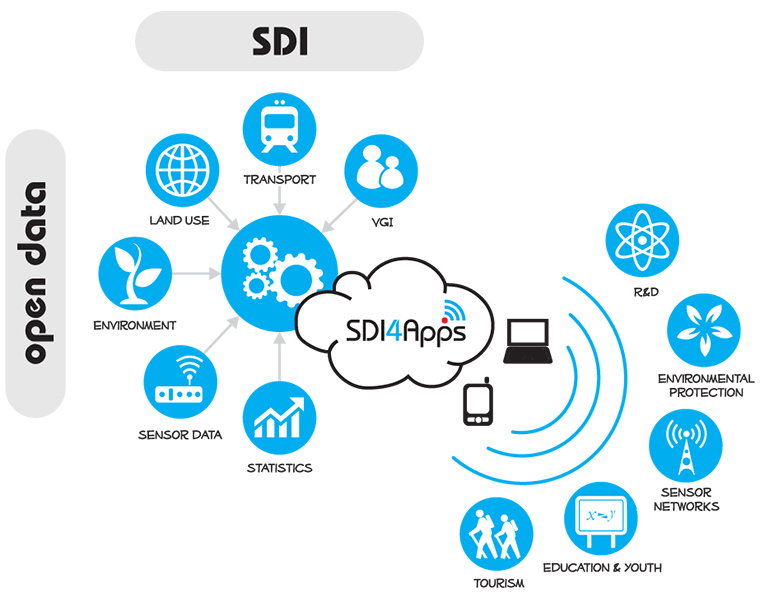 Aims to support easy access to existing services using the SDI4Apps platform API solution, which supports easy collection of information using smart phones and integrates this information into current SDIs, by implementing the European Tourism Indicators System (ETIS) and Ground Truthing services. 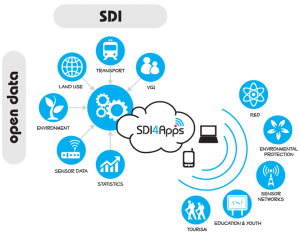 This pilot focus is on collecting, integrating and presenting tourist related data. This can be then further reused for various applications. Aiming to allow farmers to integrate low cost sensors into local and regional web sensor networks. Meteorological data and in-situ meteorological sensing networks will be used to support the crop production systems. Land use involves management and modification of natural environment into built environment such as fields, pastures, and settlements. The intention is to support voluntary initiative for open land use mapping, extending the initiative outside of Europe. Open INSPIRE4Youth will support creativity, technical capabilities, skills, knowledge, and relations, focusing on methods where young people are able to contribute to environmental and social issues. Identification of spatial representation of the outcomes of ESS Evaluation, focusing on sustainable support of tourism. The pilot web application will utilise the outcomes of Open API adopted by the project.